Patrick currently serves as a Partner of Prairie Capital. Prior to Prairie, Patrick enjoyed a successful 15-year career in investment banking, most recently as a Managing Director in the Chicago office of Duff & Phelps. 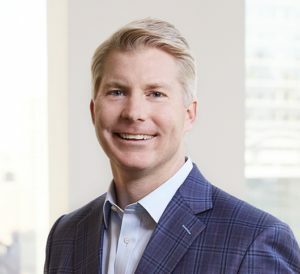 Patrick began his career at Vine Street Partners, Inc., a boutique investment bank focused on sell-side, buy-side and capital raising transactions. Patrick has been an active supporter in a variety of volunteer and fundraising services, including the Hope4Bridget Foundation, the Little City Foundation, and Clarendon Hills Little League. He lives with his wife and two children in Clarendon Hills, Illinois.